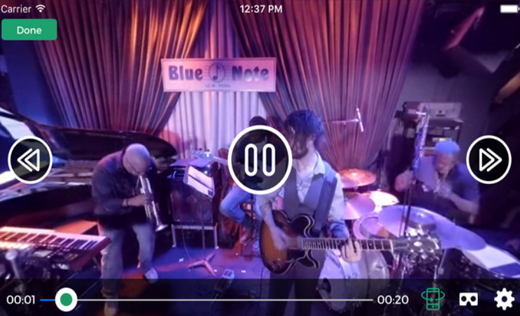 Rivet is a new iOS app that lets iPhone and iPad users stream concerts as well as VR them, right when they’re happening. You can watch impressive 360-degree streams and VR-compatible gigs on YouTube, all through your Apple devices, right in the comfort of your own home. The app allows you to watch full-length shows, search catalogues of pre-recorded content as well as preview different shows too. Users can also switch between a 360-degree mode to VR mode and receive special messages when new shows or special live presentations are released. Rivet claims from its website that it wants to “revolutionize the way live and on-demand music is consumed over the Internet,” and wants the next step to be immersion, since performances can now be viewed, experienced and shared in an entirely new way. Rivet says that its service also works with Google Cardboard, and that the app will soon be coming to Android users, but is already out for the iPhone and iPad for free at the App Store.